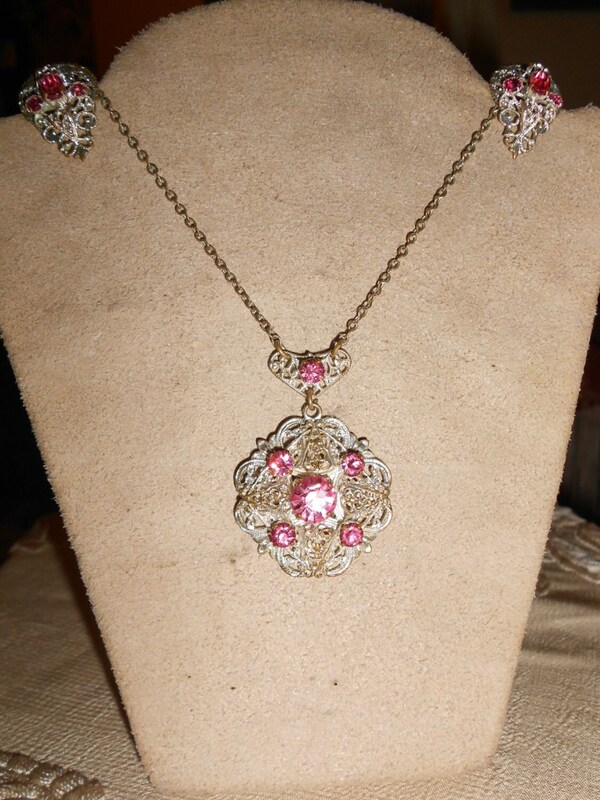 1950's, 16" silver tone chain, with silver tone pendant, with four bright pink glass stones. 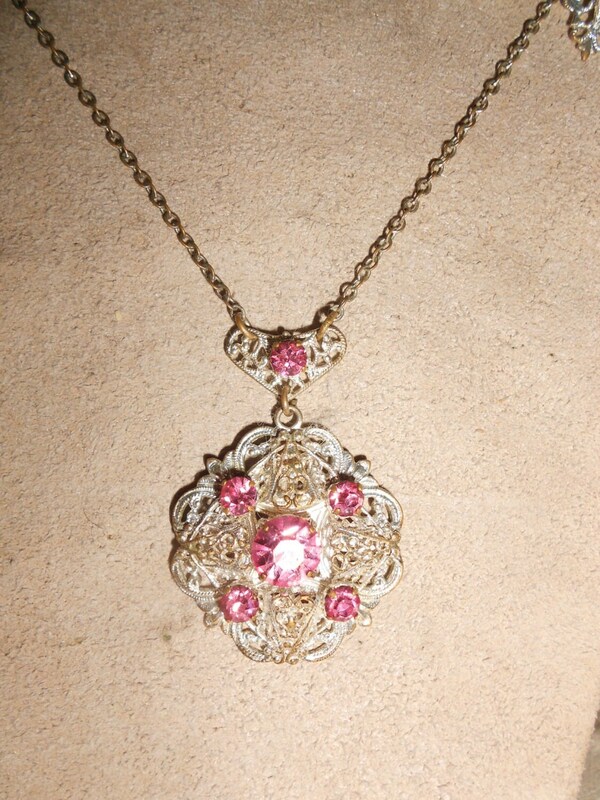 The pendant is suspended from a small silver filigree bar, with a small pink glass stone. Bonus earrings included! pendant and bar 1 1/2" long 1 2/3"